Cheri-Kristin and I always make similar projects and when I saw her garland from yesterday, I had to laugh. Without even being aware of it we both made garland. Her project is so pretty that it made me a little intimidated to post mine, but here goes anyway. I hope you like it. This is such an easy project, if you can sew a straight line, you can make these. I stacked a bunch of tissue paper together and cut out several shapes. Circles, squares and rectangles of tissue. I started with the ribbon garland, and just placed one or two of the tissue paper objects underneath the zipper foot. 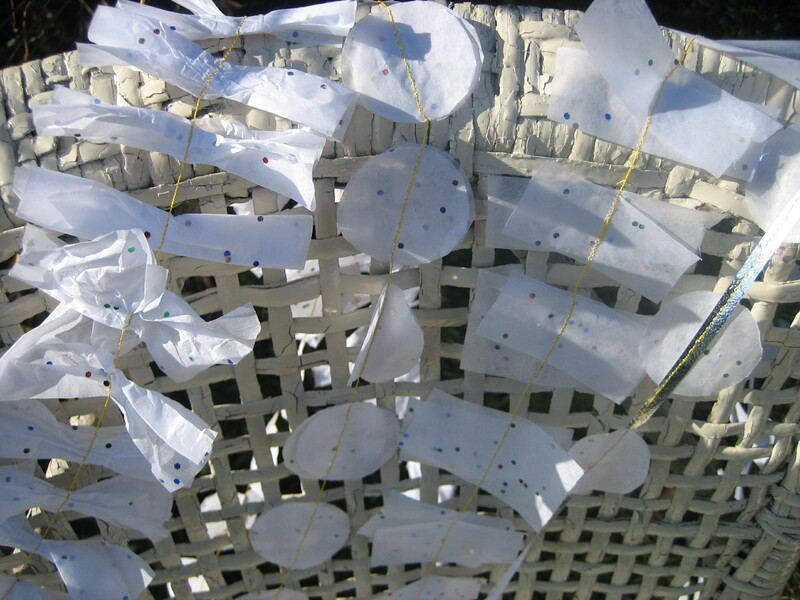 For the garland without the the ribbon, all you do is run the thread over the tissue paper objects. For the tissue paper bows, just bunch up the tissue paper in the middle and sew over it. 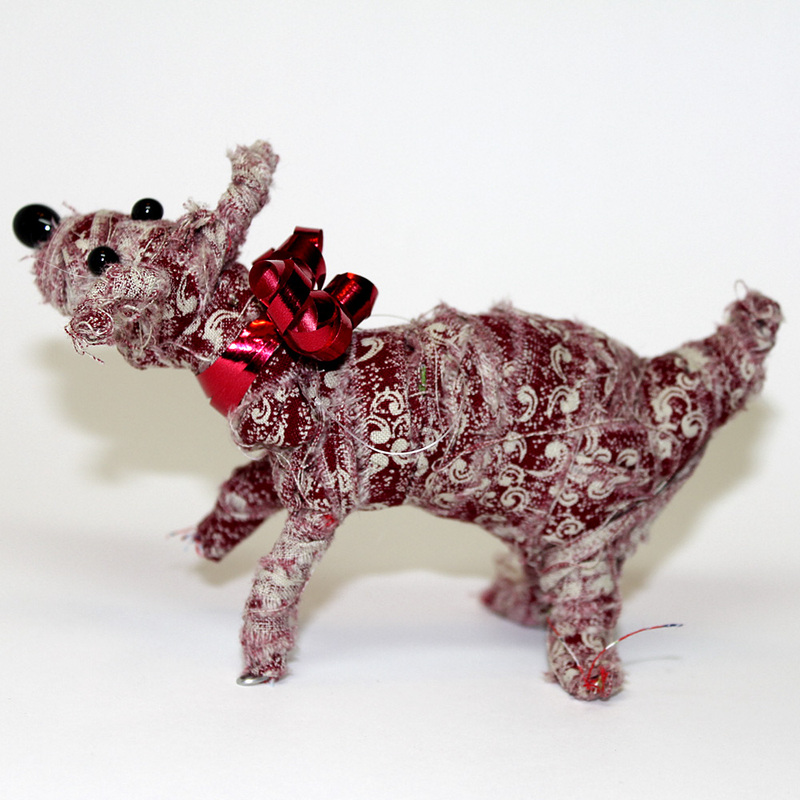 It is really simple and sewing tissue paper and ribbon is a really awesome way to combine this medium together. 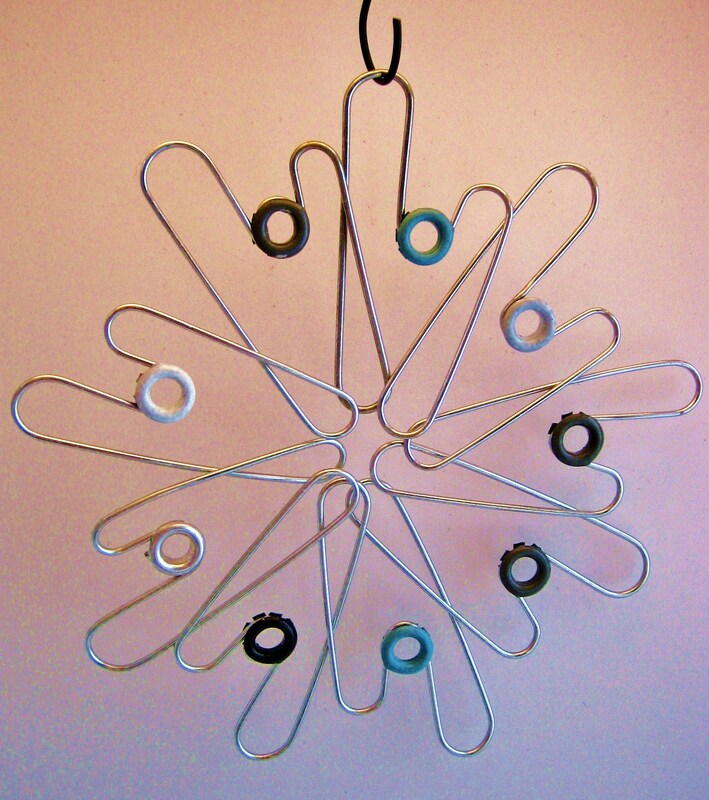 Use scrap pieces of wrapping paper to make this ornament. Lynne: I liked using scraps of wrapping paper to make my last ornament and I decided I would try to use up more of the pieces I have lying around. 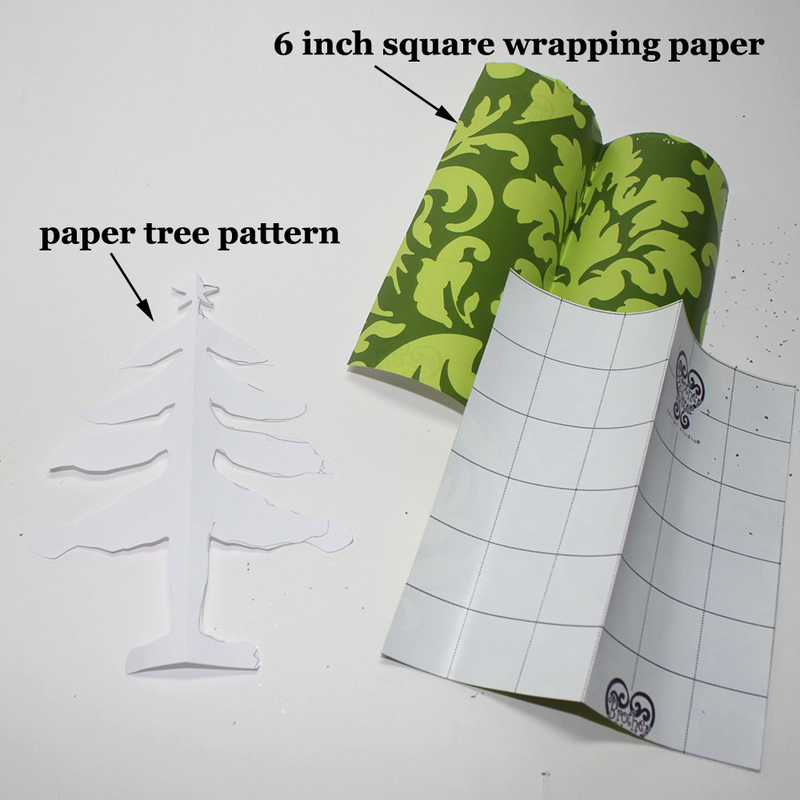 I found this tutorial on design and form with these terrific paper ornaments, but I don’t have that precision in my paper-cutting skills. Thus I drew a very loose, cartoon type tree and used that for my pattern. When you draw the pattern, draw it full size and then fold it in half. This will be easier to do instead of trying to think of how one half of a tree will look. Don’t worry too much about how it looks. 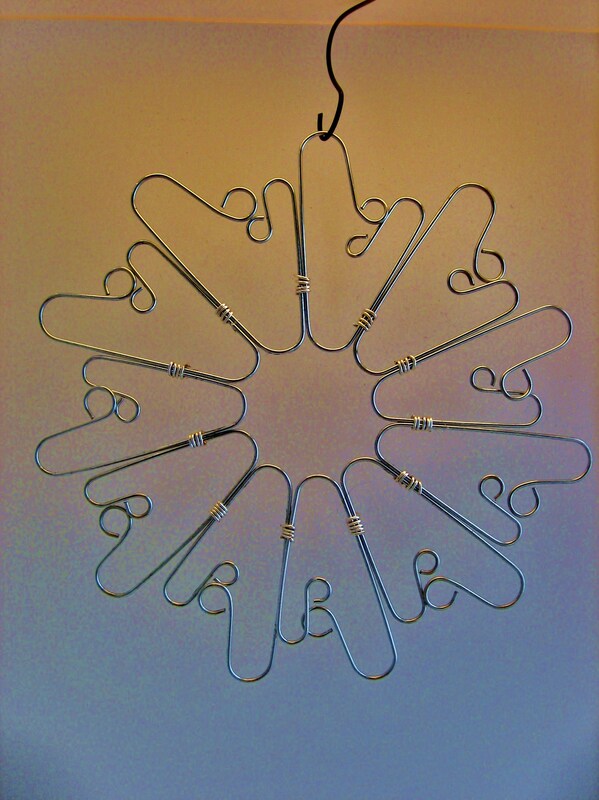 You will be surprised how good irregular lines will look in the finished ornament. Glue the unprinted sides together and then start gluing to make a stack. 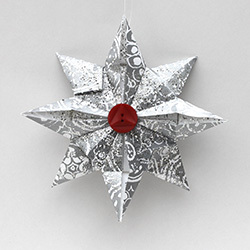 Be sure to keep the folded edge straight so everything matches when the ornament is opened. I used a weight for a few minutes to make sure the glue would hold. I traced around the pattern onto the stack and then began to cut. It seemed that more than three edges were too hard to cut, so cut what you can and then retrace the pattern from what has already been cut. 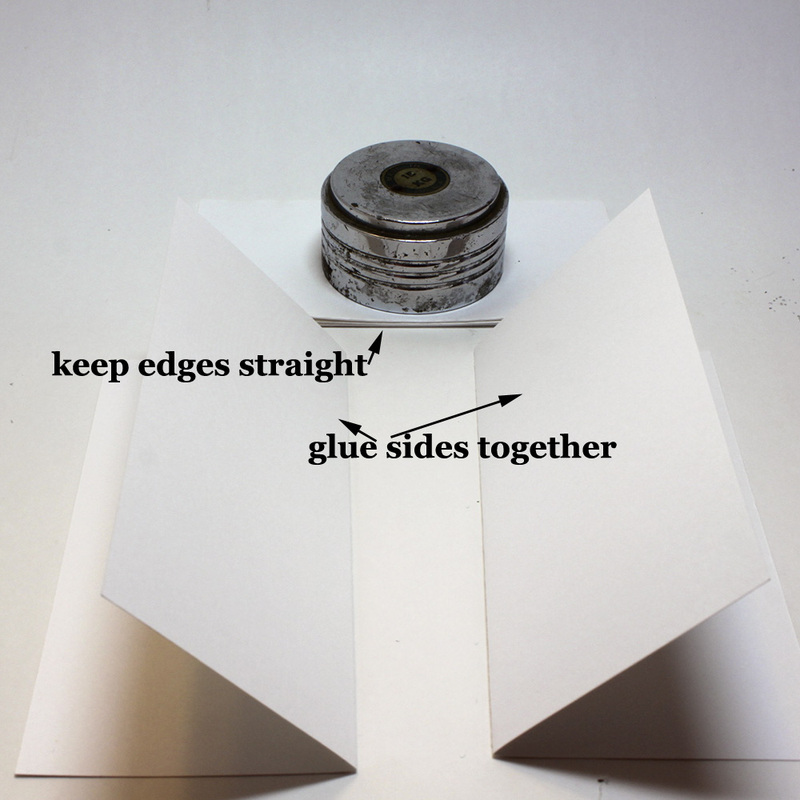 When every edge has been cut, glue the two outside edges together and adjust the 3d figure until it is evenly spaced. I added glitter and stuck an old hat pin in the top, but feel free to decorate any way you wish. 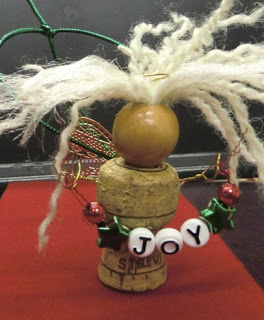 I used a loop of fishing line for a hanger, but these ornaments will stand on their own if you want to use them in a centerpiece. 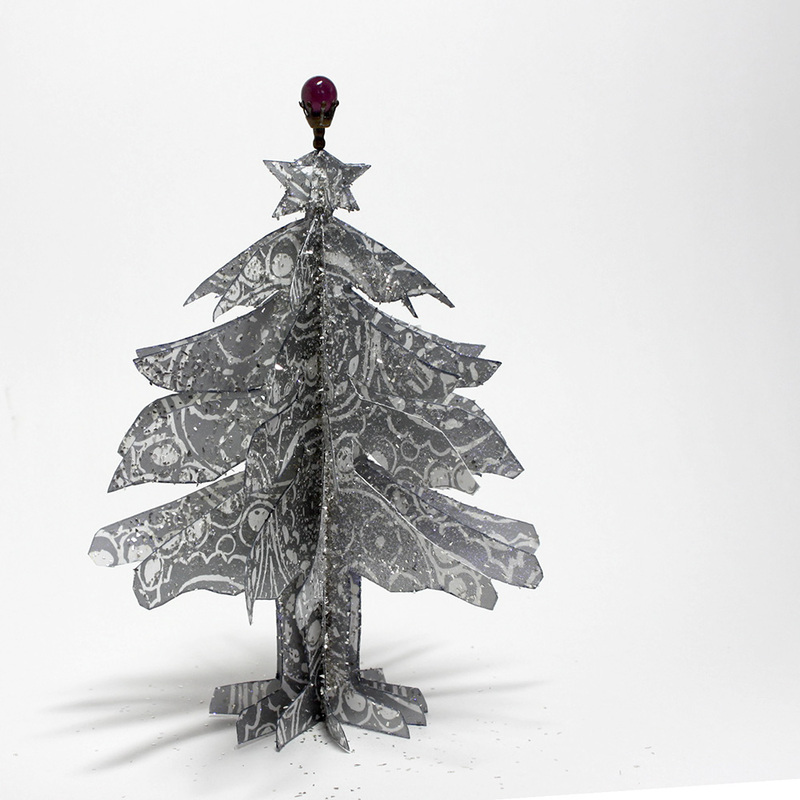 Happy Holidays and just one more ornament! Our own wonderful watercolorist and art instructor Teri Partridge of the Pear Tree Gallery always teaches a full week of ornament classes in the month of December. 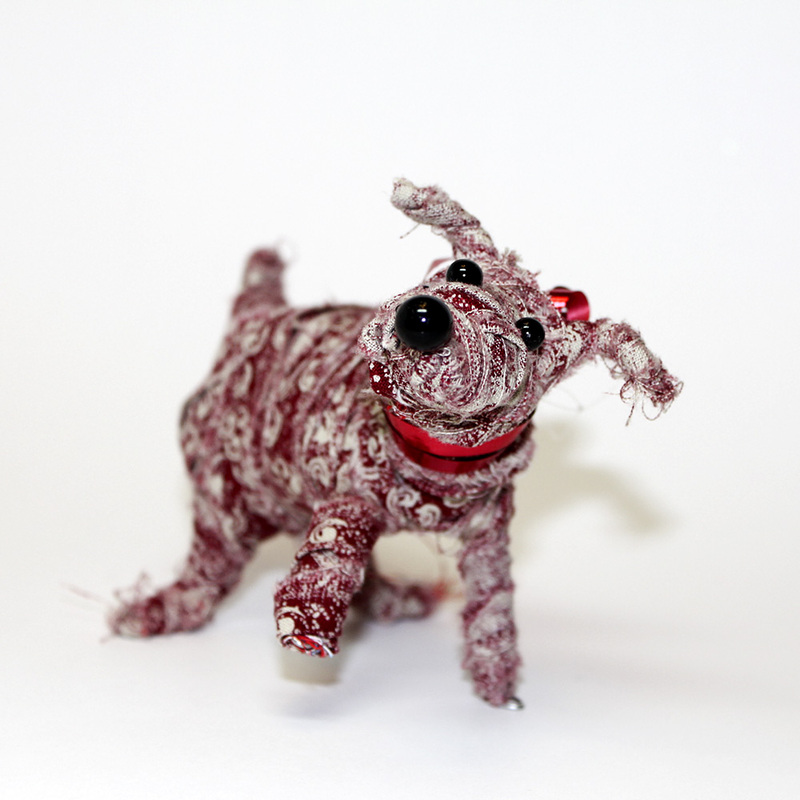 She has agreed to join us as a guest author and post an ornament or two in our Advent Challenge. This angel is so cute and so much fun to make. Her excellent tutorial can be found here. 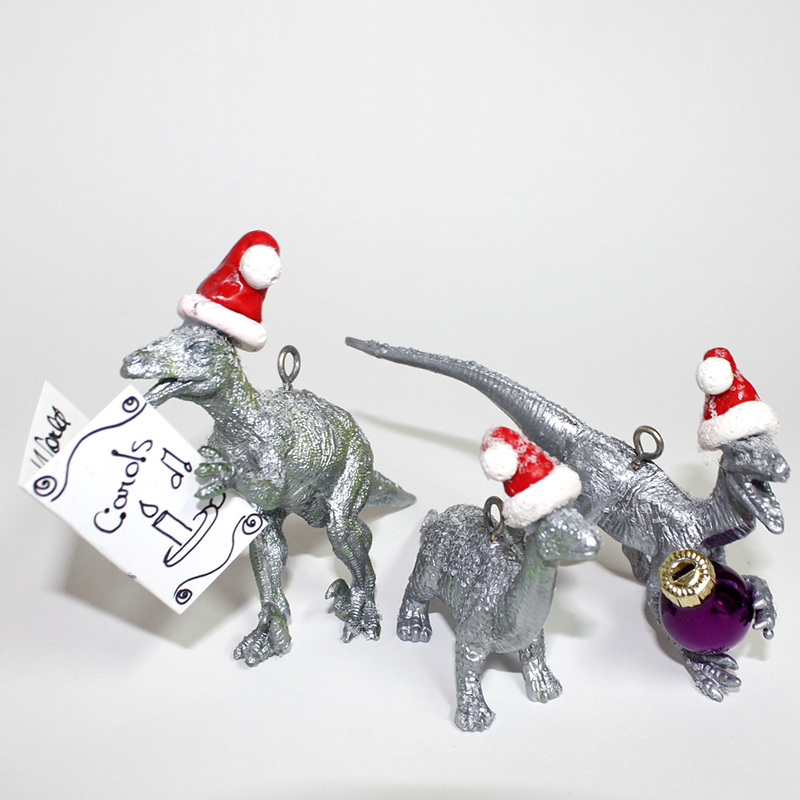 Cheri: This little group of dinosaurs are all dressed in their finest silver and glitter and are ready to decorate your tree. After they are painted, (maybe 2 coats), put another coat of paint or sealer on them, and while they are still wet, sprinkle them with glitter. You could probably put a pretty heavy coat on, but I wanted them to look like they had been “kissed” with snow. Knead a small ball of white clay and red clay, make a small coil with the white clay and roll it into a circle. Then make a small white ball for the tip of the hat. Make a small Hershey’s kiss with the red clay and stick it to the white circle. Attach the pom-pom and bake the clay according to the instructions. After they are baked and cooled, apply a little clear sealer and sprinkle with glitter. Attach the red hat to the dinosaur with hot glue and then decide if you would like them to be doing something. I made a music book for one of the dinosaurs to make him look like he was singing and the other one with the outstretched hands was given an ornament to hold. These were both hot glued on. I hope you like the ornaments I have made for our Christmas Advent Countdown. Wow, Christmas will be here before we know it. 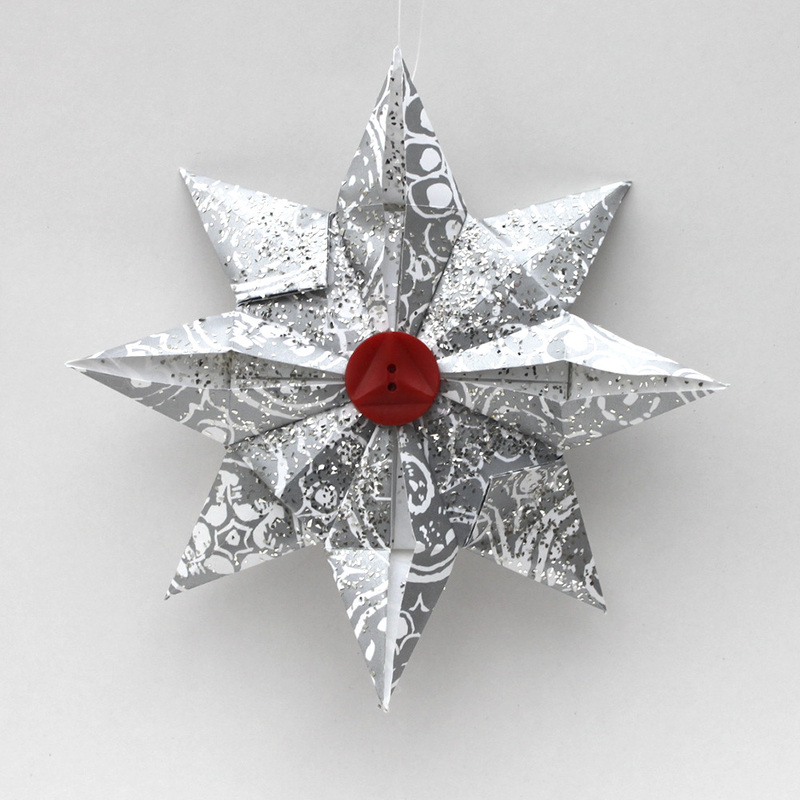 I really wanted to make a simple ornament with aluminum foil. I have been wracking my brain trying to think of something and it hit me while I was driving home from work. I could make an awesome ball with strips of foil and paper. The ornament is a ball inside a ball. The style is reminiscent of a ribbon temari ball that I made years ago. I cut strips of aluminum foil 1″ wide and strips of scrapbook paper 1/4″ wide (all the strips were roughly 12″ long). I folded the foil lengthwise to not quite in half. I then folded the other edge to give myself two nice, smooth edges. This made the foil strips about 3/8″ wide. I ran a bone folder over the foil strips to make them smooth and shiny. I glued the scrapbook strips to the foil strips and let them dry. 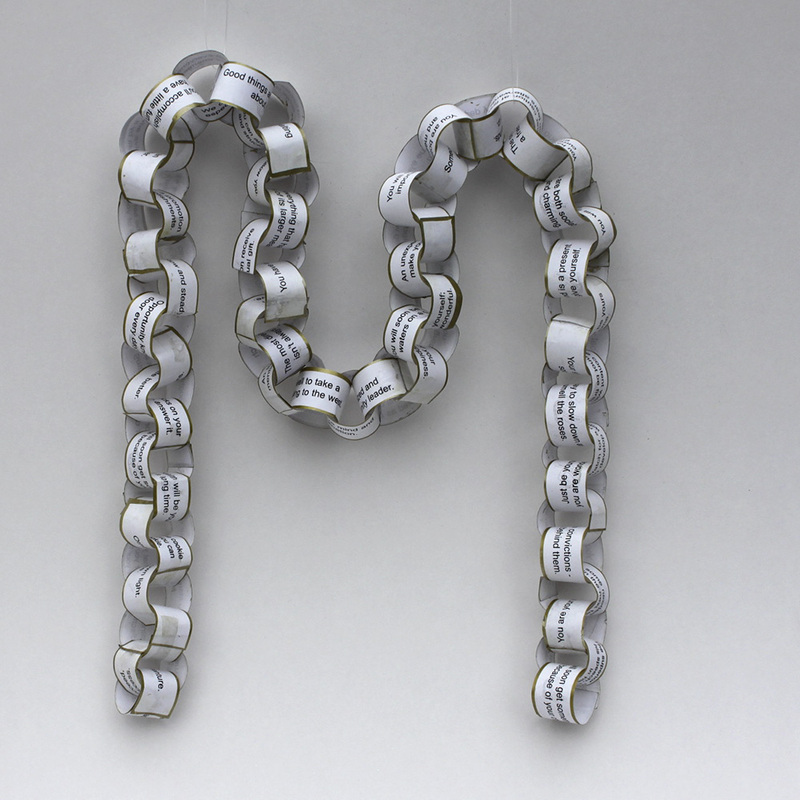 After they were dry, I cut the strips to 10″ long, just to make them easier to handle. Then I wrapped the strips around a solid object (I used a small glass for the outer ball and the glue bottle for the inner ball), glued the ends down, and cut off the excess. I made four smaller rounds and 4 larger rounds. I made the inner ball first then added the larger strips to make the outer ball. I glued the top and bottom where the strips met. I made a small circle of foil about 1/4″ wide and glued that to the top of the ball and attached a homemade hook and I was finished. I think the whole ornament took me about an hour to make. I am really happy with it, although it is rather delicate. At least if it gets bent out of shape it is really easy to fix.